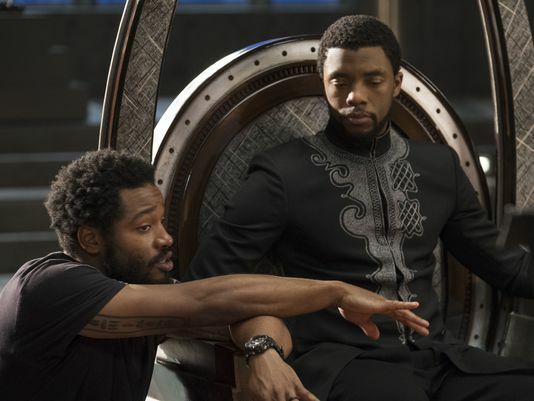 Ryan Coogler is going back to Wakanda. Sources tell The Hollywood Reporter the filmmaker behind Marvel’s landmark Black Panther has quietly closed a deal to write and direct the sequel. While the move was expected — Marvel wanted to keep the creative team as intact as possible and a sequel was never in any real doubt — the timing was always unclear. Black Panther, centering on T'Challa, the king of a fictional African country, was an outsized success both commercially and critically. The movie, which starred Chadwick Boseman as the titular hero, grossed $700 million domestically and more than $1.3 billion worldwide, and is also considered a contender for Oscar consideration. The movie became a defining cultural moment and touchstone, especially for the black community. In the weeks prior and after to the movie’s February release, both Marvel and Coogler’s camp were hounded about when a sequel deal would be inked. Typically, a filmmaker is more than willing to quickly sign on for a follow-up and a studio is eager to snap up a key piece of talent in the lead-up to or right after a successful opening. But Coogler’s camp shook off the peer pressure and took its time in making a deal, which occurred under the radar some time ago. Sources say the plan at this stage is for Coogler to write next year with an eye to start production in either late 2019 or early 2020. Marvel and parent company Disney, however, have not made any official announcements about Marvel's slate of movies beyond the release of the next Avengers movie in May 2019 and a Spider-Man: Homecoming sequel in July — and plans could shift. Coogler is developing the drama Wrong Answer with his frequent collaborator and Black Panther star Michael B. Jordan. He is also executive producing LeBron James’ Space Jam sequel and acts in the same capacity on the upcoming Creed 2.